In an attempt to quench your curiosity, soothe your insecurities, and make your life the best it can possibly be, it can be tempting to throw very specific questions at the Tarot in the hope it’ll answer your deepest and darkest questions. 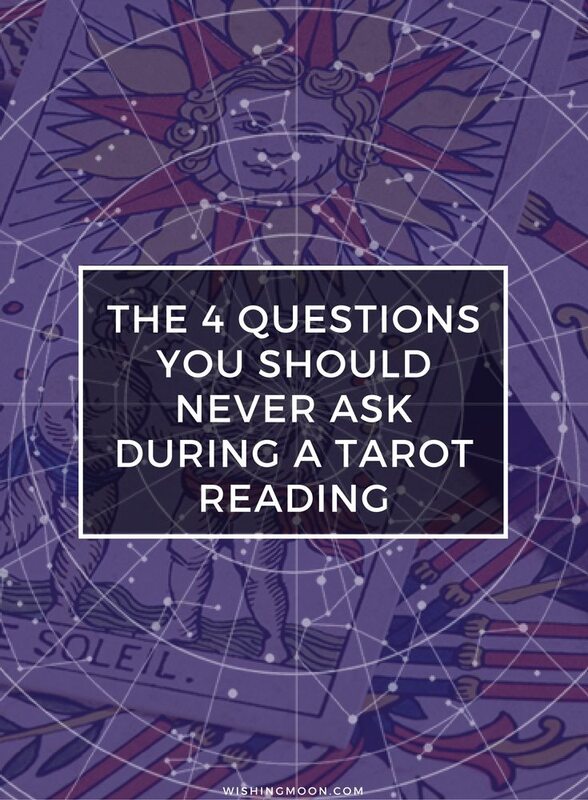 However, there are certain questions you should never ask during a Tarot reading. Not only can certain questions reap ineffective results but they could also waste your time and money. Knowing the date, time or cause of your death is unlikely to enrich your life. As curious as you may be, life is better when you don’t have a big ticking clock hanging over you. We can’t think of anything worse than counting down the days until it’s our turn to leave this world! Knowing the intricate details of your death could throw your life into disarray and, if you tell those around you of your fate, they may struggle to come to terms with it too. Thankfully, the Tarot won’t tell us the exact details of our deaths anyway so you’ll have to carry on through life completely unaware. Instead of asking the Tarot when you’ll die, ask positive questions and look for ways to make the most of the present. By living life to the full we can ensure that when it’s our turn to pass onto the next life, we’ve made the most of our time spent on Earth. With over 7 billion people in the world, the person you marry depends on your own choices and the choices of others. The Tarot cannot predict our decisions, it can only influence them. For example, if you were to go jogging in the park at 3pm on Saturday you may meet someone who will make you incredibly happy. However, if you were to go shopping instead, you may meet someone entirely different who will make you happy. The Tarot doesn’t know what we will choose to do. You might marry one person, you may marry two (not at the same time, of course!) or you may live your whole life content and unmarried. Life is mysterious, uncertain and scary at times but, thanks to our ability to make decisions without knowing how things will pan out, it can also be a beautiful, exciting and precious journey. As a general rule, avoid “should I?” questions. When it comes to your life, you’re in the driving seat and must take responsibility for your own choices. By taking the reins and accepting responsibility for your destiny, you’re likely to feel strong, capable and empowered. You’ll benefit from a positive outlook on life and will be able to enjoy the feeling of accomplishment whenever you succeed. If you make a decision that doesn’t work out, learn from it and move on. If Tarot readers or fortune tellers were able to predict the winning lottery numbers, they’d be carrying out their readings from their private yachts while enjoying the sunshine. Tarot can’t help you cheat your way through life. Instead, it can give you the gentle nudge in a potentially beneficial direction while encouraging you to steer clear of harmful situations. Even if you were able to cheat and find out the lottery numbers unethically, you’d probably get some seriously bad karma. Think of all the people who played the game fair and square only to lose! A Tarot reading can bless you with newfound clarity, highlight areas of your life in need of improvement, and enable you to find peace with issues you cannot change. 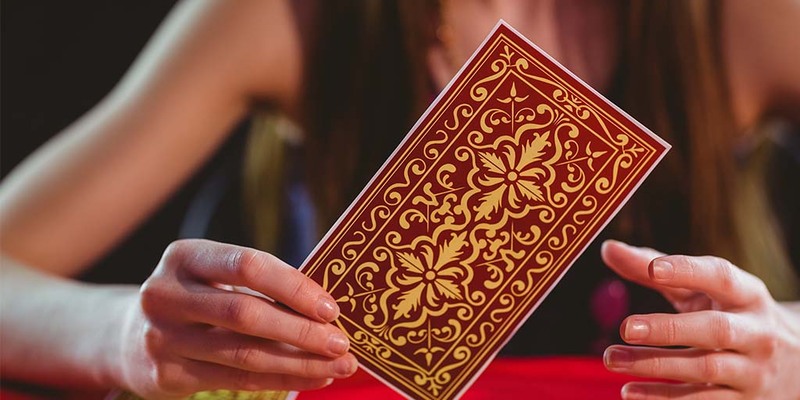 However, since no Tarot card can tell you what to do or share specific details about your future, be sure to avoid the above questions when you’re next having a reading.